I’ve got a real soft spot in my heart for two things that, at times, seem diametrically opposed. A many-course tasting menu and a deal. It was with luck and the assistance of one of the recent entrants to the group-buying site Village Vines that I ended up the opportunity for both. Kind of. Somehow, I’ve ended up with a bunch of free credit on Village Vines which can be used towards 30% discounts at a number of top-notch restaurants around DC. The 30% more or less covers your tax and tip. You just have to make a reservation through their site, and keep in mind some of the places have time and day restrictions (as did Sushi Taro) and some other stipulations, but nothing too overwhelming. Right out of the gate, this was one of my favorite dishes of the night. 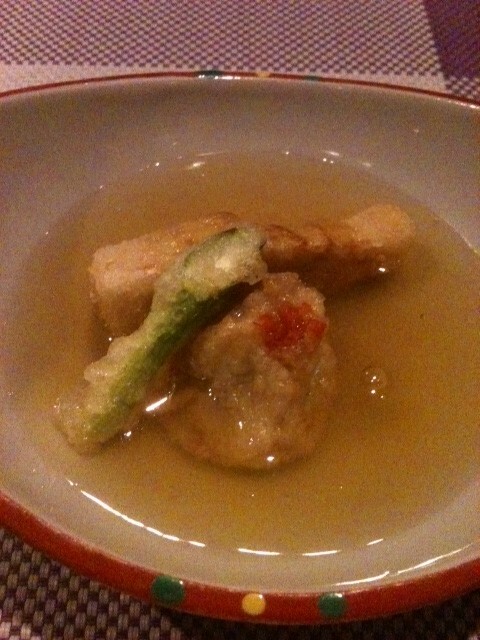 The tofu was soft and delicately flavored and perfumed with the dashi. 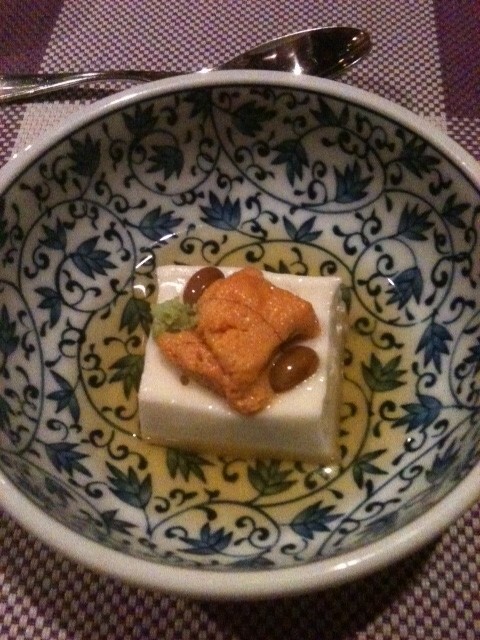 The sea urchin, tofu, and dashi all together were just so perfect. And ever since another many-course dinner (that time 21 courses!) at Volt, I’ve been won over by sea urchin. Very interesting flavors. The bamboo shoot tasting of wood and earth, the lotus root mochi with a surprise taste-explosion on in the inside. 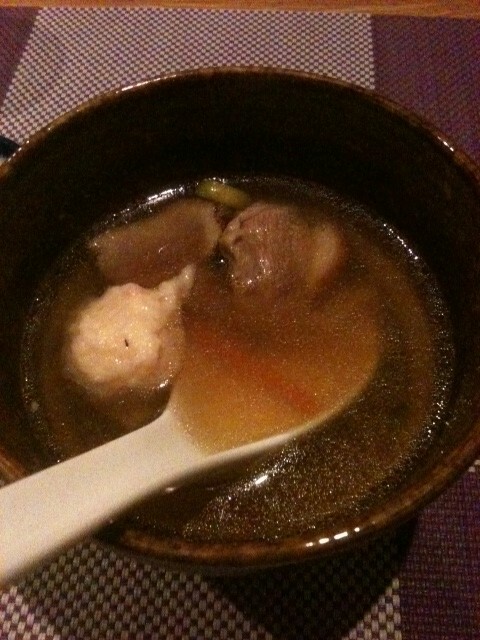 Again, served with a very flavorful dashi. 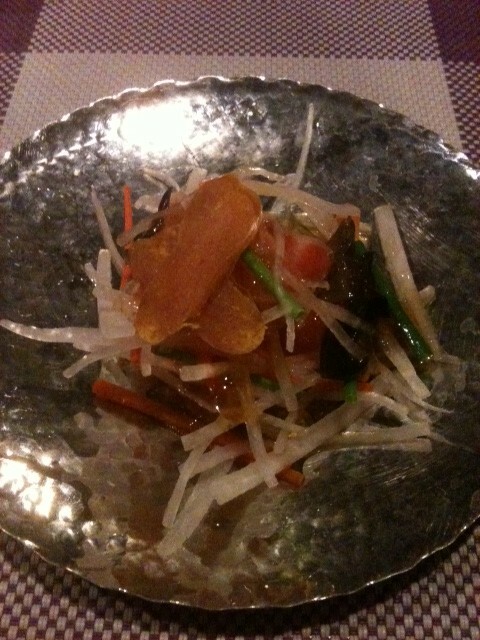 The delicately smoked and cured salmon and the pickled daikon was great. The dried fish roe on top was salty and chewy, but not a flavor I enjoyed all that much, admittedly. 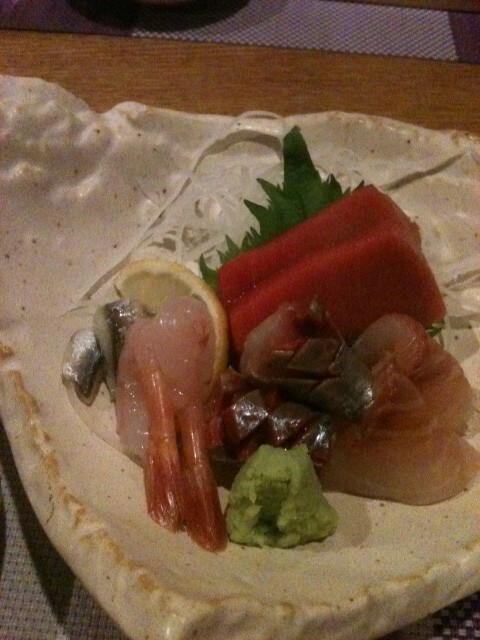 This was a knock-out course of sashimi. All of it very tasty. 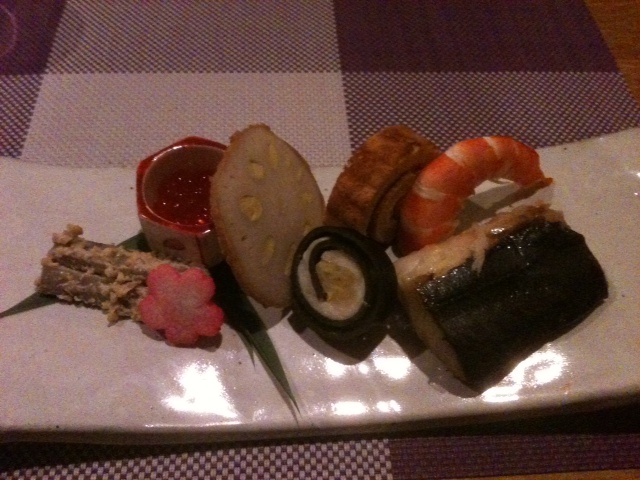 I ate it in a clockwise fashion, starting with the fatty tuna at 12 o’clock. Even the raw shrimp was great, which made me a little squeamish, but upon eating it, I was converted. Another one of my favorite courses. The broth was just plain delicious. The 2 slices of duck and prawn ball were a bonus, and the mochi, perhaps, unnecessary. But, man, that broth was good. This is the point where I realized I was only about halfway through, and if I had any chance of enjoying the last few courses, I had to start choosing wisely. To be honest, while this course was quaint in its presentation and intent, there wasn’t a lot on the plate that I actually liked that much, except the cooked spanish mackerel which was real good. I ended up eating only about half of everything except the mackerel. From the left you’ve got burdock root with sesame paste, salmon roe, lotus root with mustard, two things I’m forgetting now, steamed prawn, and cooked spanish mackerel. A cute little plate with not a lot happening on it. Nice nonetheless. 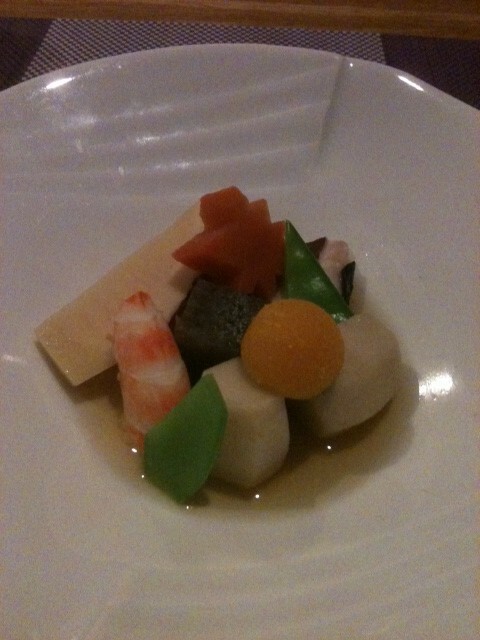 A little more bamboo shoot, prawn, some pea pods, a sphere of squash, and some tourneed potato. For some reason I failed to snap a photo of this course. The waitress provided a list of about 12 options from which I was to pick three. All of them were quite interesting, and I had a little bit of a hard time narrowing it down, but I ultimately opted for house-grilled freshwater eel, uni (sea urchin), and zuke soy marinated tuna. Each of these were splendid, the tuna and eel especially. 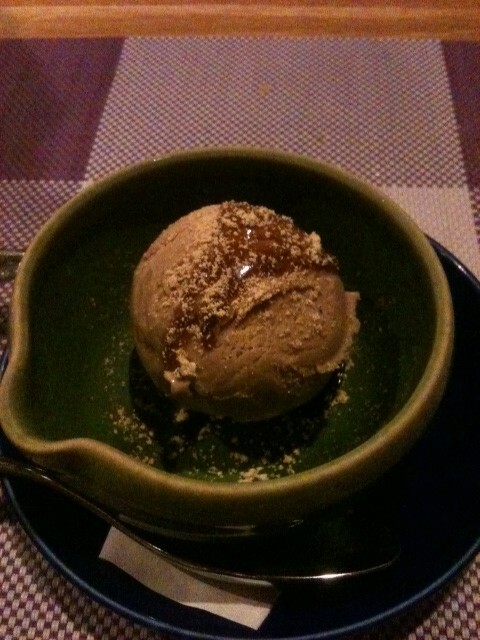 Once again proving the axiom that “there’s always room for ice cream,” I opted for the coffee ice cream choice for desert. Very delicious, and I probably ate a little too much of it. But I’m glad I did. A nice way to end an all around great meal. Best in D.C., eh? My money is on Sushi Ko in Glover Park. Proximity of strip clubs notwithstanding. 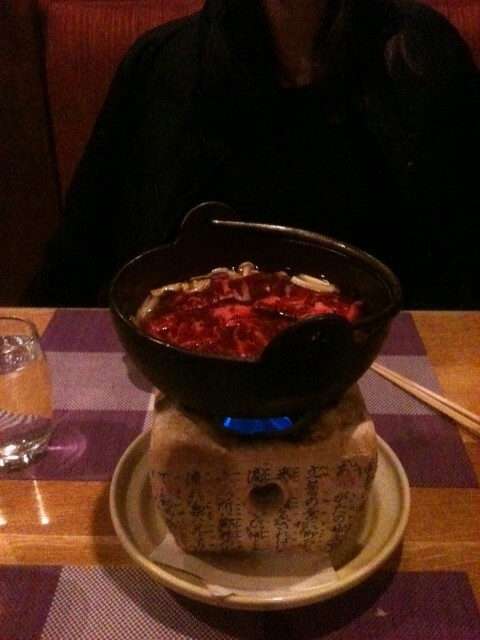 Last time I was there I did omikase and it was one of the three best dining out experiences I’ve ever had. 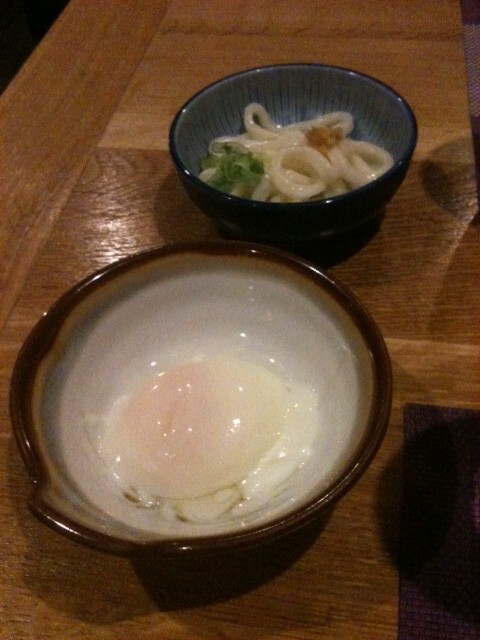 Not really fair to compare though until I’ve done omikase at the new Taro.